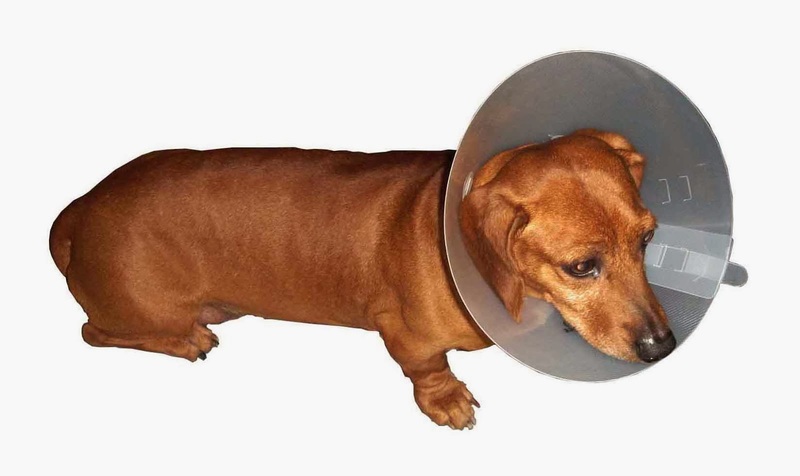 E-CollarsDirect is a reliable source of dog, cat Elizabethan collars, also referred as cone collars or recovery collars. 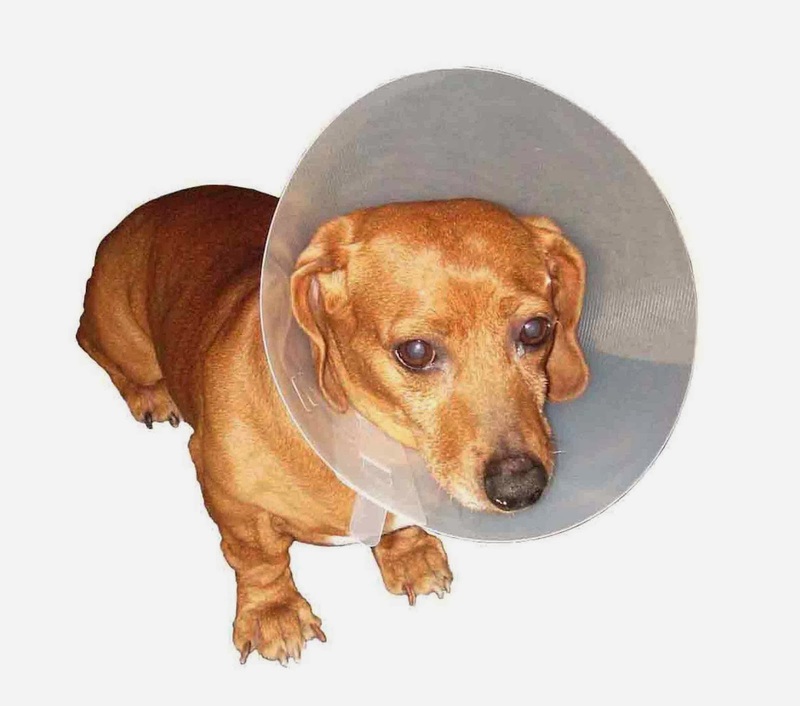 Our cone collars are flexible, recyclable, durable and protective with strips, which are widely used for wound healing and recovery of a dog or cat. These e-collars prevent pets from aggressive licking, scratching that lead to infection. Our Elizabethan recovery collars are made of recyclable plastic and can be reused. Each collar has two neck sizes (7.5cm-12.5cm), or three neck sizes (15-30cm). Also each collar has three (smaller than 12 cm) or four (larger than 12 cm) security strips for easy and secure attachment to existing dog collars. In contrast to fabric Elizabethan or opaque plastic recovery collars, this clear plastic allows pets to maintain peripheral vision and is rigid enough to effectively prevent licking or scratching aggressively. 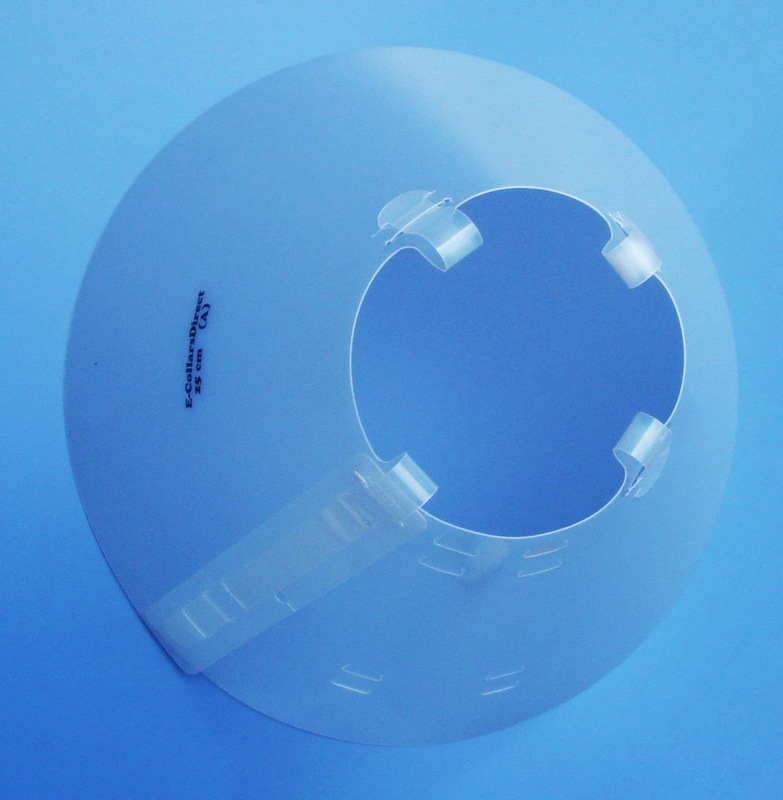 Compared to other plastic cone collars without attachment strips, our collars stay firmly attached. The attachment strips are very tight by design to prevent escaping. 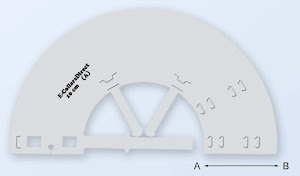 The label " e-collarsdirect" is used to orientate the collar when folding; label facing out. 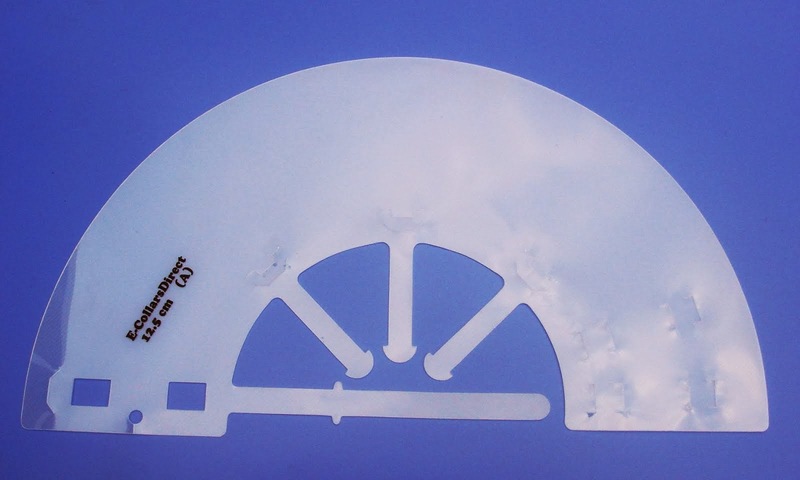 Stressed PP plastic can turn white after bending. Special veterinary supply boxes are available to Veterinarians and veterinary clinics. Each veterinary supply box contains 12 e-collars at the same size, or a variety (V) Box is comprised of 14 e-collars at 7-different sizes (2 e-collars for each size). In addition to " Green Cones", we also create "Green paper" made from stone dust to reduce consumption of trees and water which are used to make regular paper. We proudly produce green products. 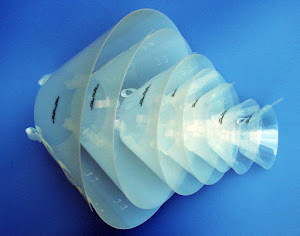 ﻿A reliable source of Vet supply, pet supply for Pet Elizabethan collars/ Recovery cones. Individual green cone e-collar is also available (for sale) to regular consumers. Please contact us for the veterinary supply boxes (12 collars/box). Bulk discount is available. How to use a dog e-collar/ Elizabethan collar? ecollarsdirect@gmail.com . Simple theme. Powered by Blogger.